Posted on May 17, 2012 by Clare Cooks! I made this delightful cocktail for Mother’s Day last weekend. It was quite a hit (meaning my mom and I both liked it). This is really the perfect summer brunch cocktail. 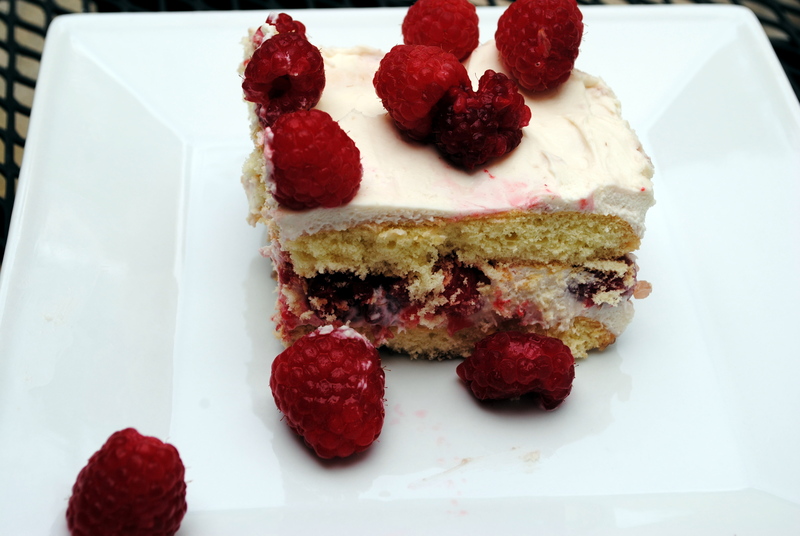 Raspberries and lemons are a great combination of sweet and tart and they work really well together here. 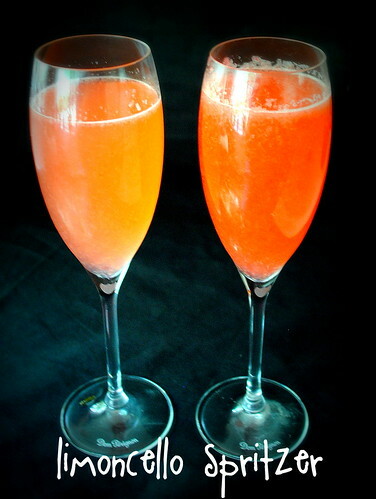 The drink is not overly sweet, has delicious fruit flavors and is very refreshing. I’m definitely planning on making this many, many more times over the next few months. Add the raspberries to a food processor and purée until smooth. 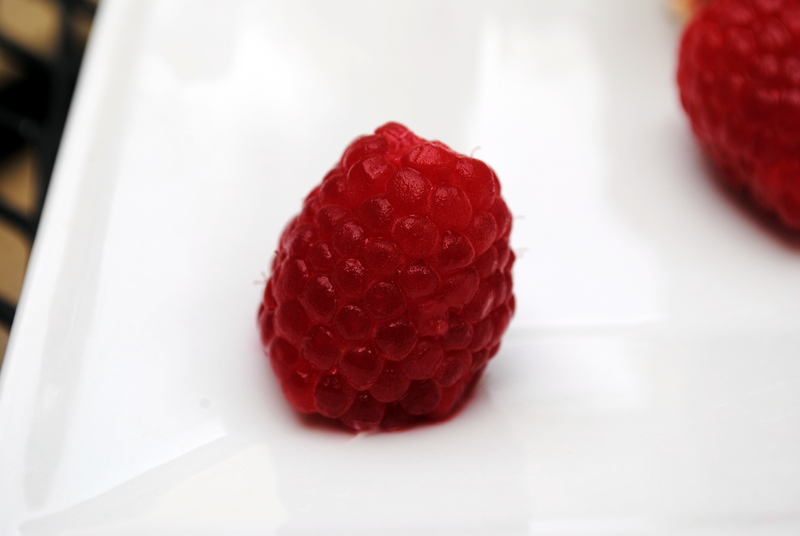 Strain the raspberries through a fine mesh sieve into a pitcher. Stir in the limoncello and prosecco. Garnish with more berries. Serve in ice filled glasses if desired. Posted on December 14, 2011 by Clare Cooks! It’s been so cold in these parts lately that warm breakfasts have become a necessity. Seriously, there has been frost and that’s pretty much as cold as it gets around here. 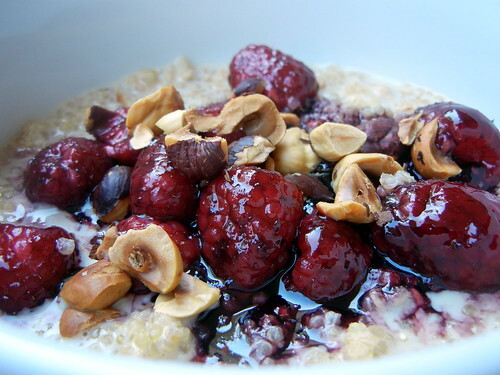 There is only so much oatmeal you can tolerate, so quinoa porridge seemed like the perfect alternative. Plus, quinoa is super great for you and packed with protein, vitamins, minerals, fiber and it’s naturally gluten free. This porridge took about 25 minutes to make, so it’s not exactly the world’s fastest breakfast, but it’s definitely worth it if you have the time. I put the quinoa on to cook and managed to wash all the dishes, straighten up the kitchen, make a cup of tea and breakfast was ready by the time I was done. The other thing I like about this recipe is that it’s super flexible. I just happend to have raspberries and a brand new jar of raspberry jam on hand, but you could use nearly any jam or fruit combo; strawberries, peaches, blackberries, blueberries, go wild. The only other word of warning I would give, is to make sure to randomly stir the quinoa every now and again to get rid of the weird layer that happens when you heat milk. Nobody likes milk ‘skin’, so make sure to stir it every once and again. Place the quinoa in a saucepan and cook over a medium heat for 2-3 minutes until toasted, stirring frequently. Add the milk, water, brown sugar, vanilla extract and salt and bring to the boil, stirring well. Reduce to a simmer and cook for 25 minutes until thick and the grains are tender. Meanwhile, in a small saucepan, add the jam and fold in the berries when heated and slightly melted. 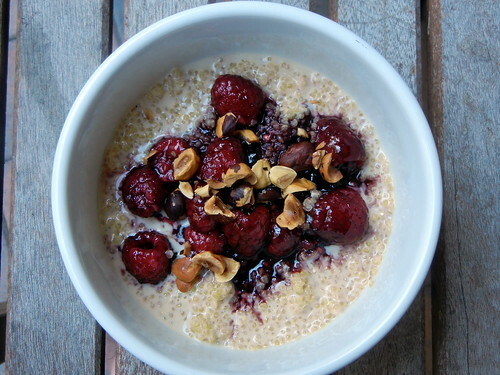 Spoon the quinoa porridge into serving bowls when ready and top with generous tablespoons of the jam mixture. Sprinkle the finely chopped nuts on top and serve. Posted on November 24, 2011 by Clare Cooks! This drink doesn’t really have a name. It was created 3 Thanksgivings ago in a kitchen in a student dorm in London. It was a particularly memorable Thanksgiving. We had a lot of friends on our graduate program from various parts of the globe and not all of them had the opportunity to celebrate the world’s greatest holiday. My friend and fellow American, Lauren, and I were determined to celebrate regardless of London’s numerous attempts to thwart our plans. One meal for nearly 25 people required nearly a month of planning, numerous tube and taxi rides, trips to parts of London we never knew existed before (I swear we ended up in Wales at one point) and even mailing in supplies from the States. Now add on the fact that there is only one kitchen big enough for that many people and it only has one functioning European sized oven (the 2nd oven was replaced the next day… perfect timing by the management) and Lauren and I were both dealing with a lovely case of meningitis. It was pretty epic adventure and it will always remain one of my favorite Thanksgivings. So, it was under these circumstances that this cocktail came about. It was partially out of necessity and partially out of what we had left on hand. You most definitely need a cocktail after dealing with all that. You might need a cocktail after dealing with family the kitchen all day. I would highly recommend this little concoction, as it turned out perfectly and has become a little Thanksgiving tradition of mine. 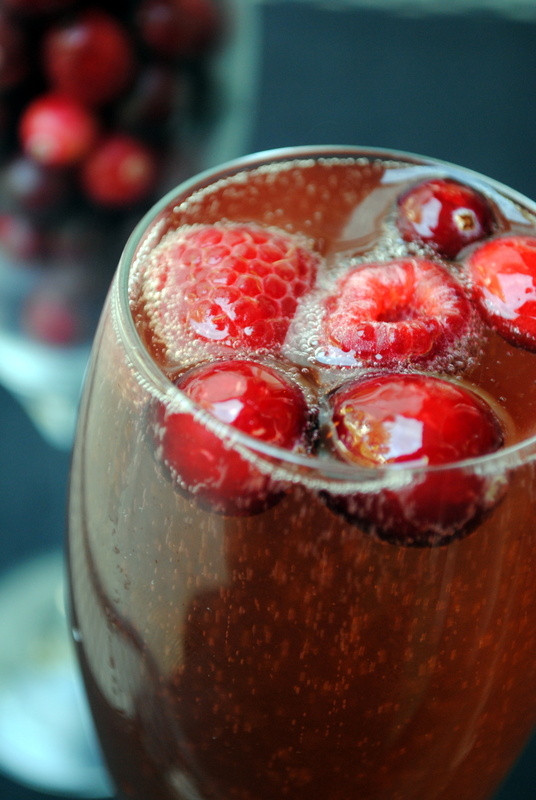 Pour a shot of vodka and a shot of cranberry juice into a champagne glass and fill glass with champagne. Top with raspberries or cranberries if desired. Serve and enjoy your Thanksgiving! Posted on October 4, 2011 by Clare Cooks! Our Costco has some amazing late summer fruit in at the moment. I’m still recovering for the trauma of Eastern European winters and having to pay 8 bucks for a tiny thing of raspberries. I still buy them in mass quantities when I get the chance. Posted on March 8, 2011 by Clare Cooks! It’s pancake/shrove/fat Tuesday! I’m not sure if it’s an Irish/European thing, but growing up Mama CC always made crepes for dinner. It was always something to look forward to. 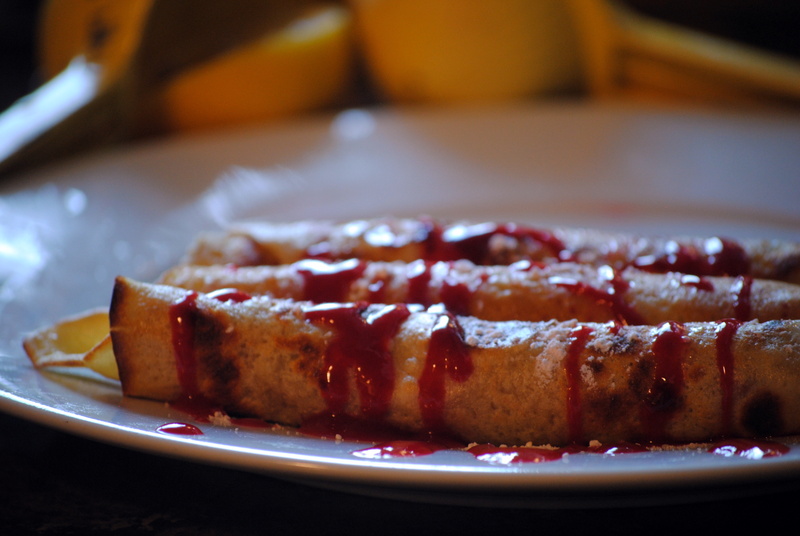 Tonight we made gluten-free pancakes and raspberry sauce to celebrate. 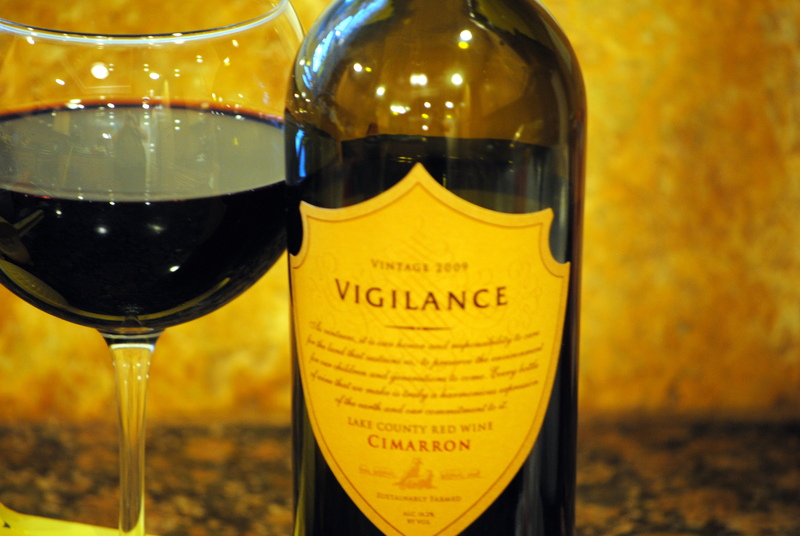 We also had some red wine just for good measure thanks to Bevmo’s 5 cent sale! Can’t go wrong there. 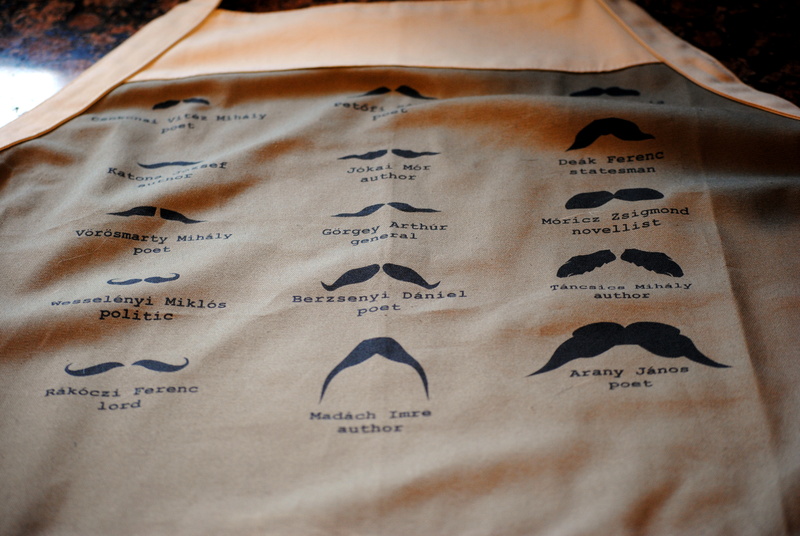 I also broke in my amazingly awesome Hungarian Mustache apron I got in Budapest last month. It was quite exciting. Hungarian statesmen and poets were defintitely ahead of their time when it came to the whole ironic, hipster facial hair thing. Seriously, where did these come from? Combine wet ingredients, milk, egg, butter and vanilla. Combine flour, salt, baking powder, sugar. Mix wet and dry ingredients. Heat pan over medium-high heat and spray with cooking spray. Pour 1/4 cup of mix in pan and cook. 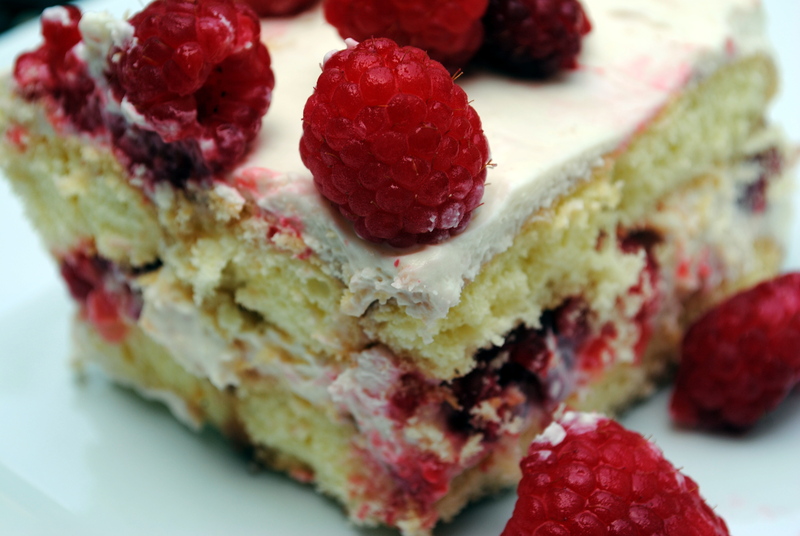 In a food processor, combine raspberries, lemon juice and powdered sugar. Run through sieve if seedless sauce is desired. Top pancakes with raspberry sauce, squeeze of lemon and powdered sugar. Serve and enjoy!